Have you ever met those people who love everything a company creates? It’s almost like they’re unable to form an objective opinion about the product because the brand is attached to it. Yep, that’s brand loyalty, and if you can get it, you’re golden. When consumers purchase a product out of brand loyalty it’s usually built on a past experience. For instance, the product performed well, the company has great customer service, or maybe the consumer just identifies with the brand on some unique level. 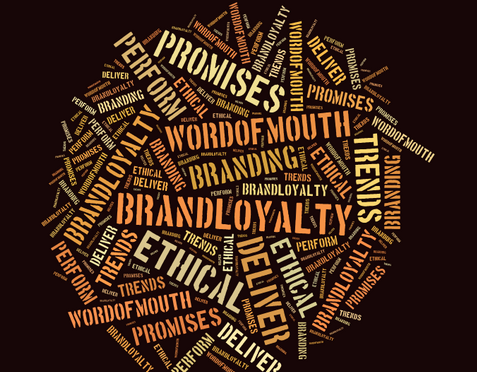 Brand loyalty generally suggests a predispositional commitment toward a brand. Believe us, brand loyalty is a good thing to have. How Can Companies Achieve Brand Loyalty For Their Products? Brand will always be the connection between the product and its customer. It’s pretty clear that to achieve brand loyalty your brand needs to be memorable and attractive. Many companies can achieve this from good solid advertising, keeping up on social media and appealing to the masses by being on top of cultural trends. In addition to a solid and recognizable brand, companies need to keep their word. If they say they have the lowest prices, the best quality, or any other superlative they’re going to have to back it up with results. When companies fail to deliver, news gets out fast. Sources like Yelp are proof that broken promises and poor services become public knowledge immediately. Often there is no recovering from an online argument or poor review. Reputation really matters! We exist in a consumer market that’s largely driven by word of mouth recommendation, plus word of mouth spreads faster than ever before. A company’s ethical history, not only with consumer interaction, but as an employer as well, becomes incredibly significant. It makes sense, People choose not to frequent stores that treat their customers poorly, they are turned off over stories of unethical employee practices. Looking for a brand you adore or already have one? Check out Design Rush’s Top Agencies and tell us all about it in the comments or on our Facebook!